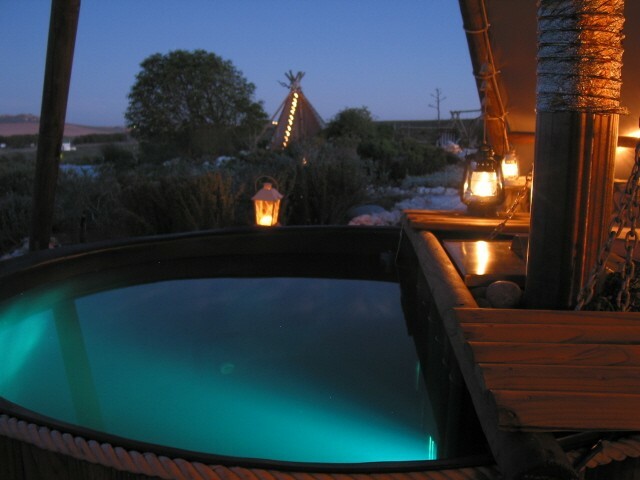 Farr Out Guesthouse (4 star graded), located on the outskirts of Paternoster on the smallholdings in the Fynbos, not only offers peace and tranquility with its 4 guestrooms but also unique experiences such as staying in a Wigwam or star gazing in a different way in an outdoor wood-fired Hot Tub or going for tailor made Beach Buggy trips with accredited Tour Guide Deon van Schalkwyk. 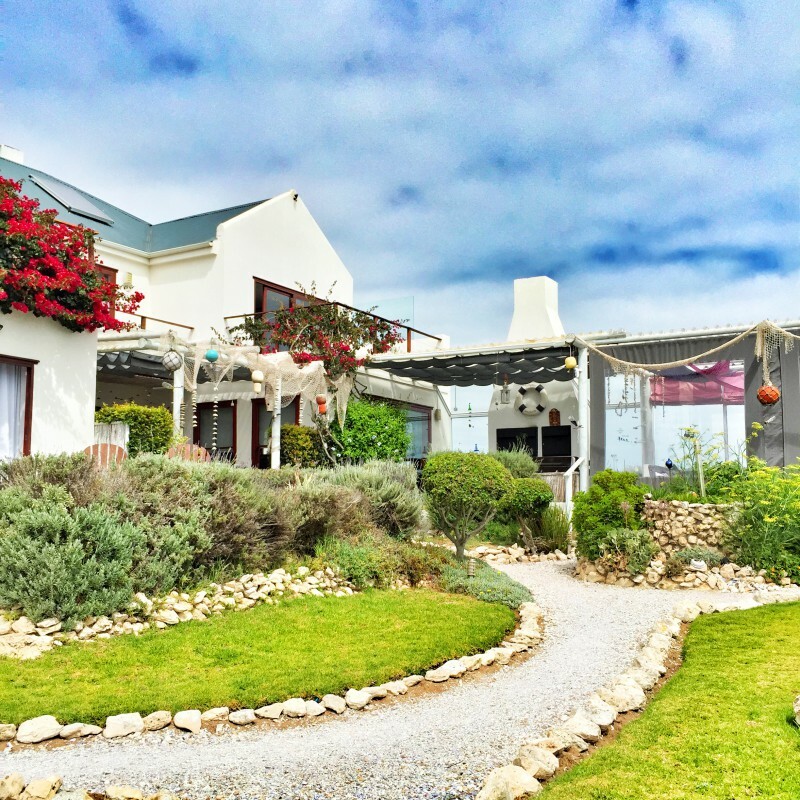 The perfect spot to experience peace and quietness surrounded by nature with breathtaking views onto Paternoster village and its endless beach where the past and present meet. 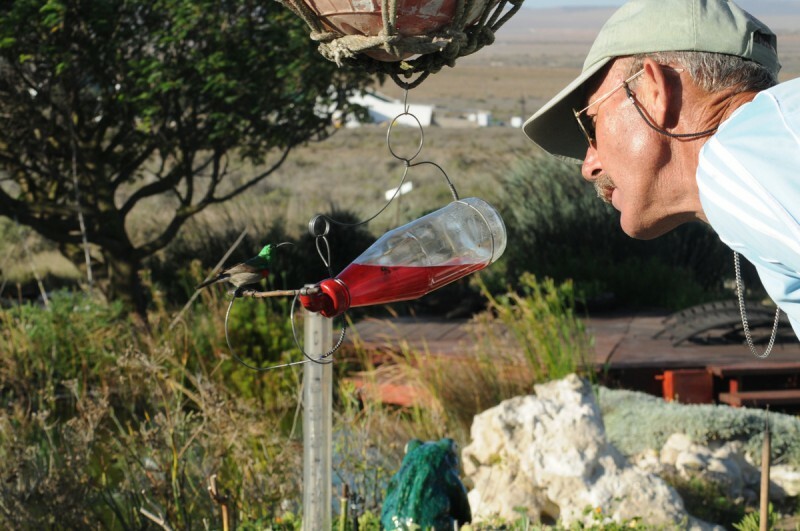 A birdwatchers "must to be" with its 225 different species. A huge floral variety of plants offer a colourful flower carpet in spring. The few minutes drive from Paternoster to Farr Out (4 Star graded) is not what you would exactly call far. But when you arrive in this sandy bushveld wilderness, you do feel pleasingly remote. Crunching up the glinting shell pathway you can see across an indigenous garden and right out to sea. Earlier risers may catch some of the wildlife that comes by when it thinks no-one's looking. 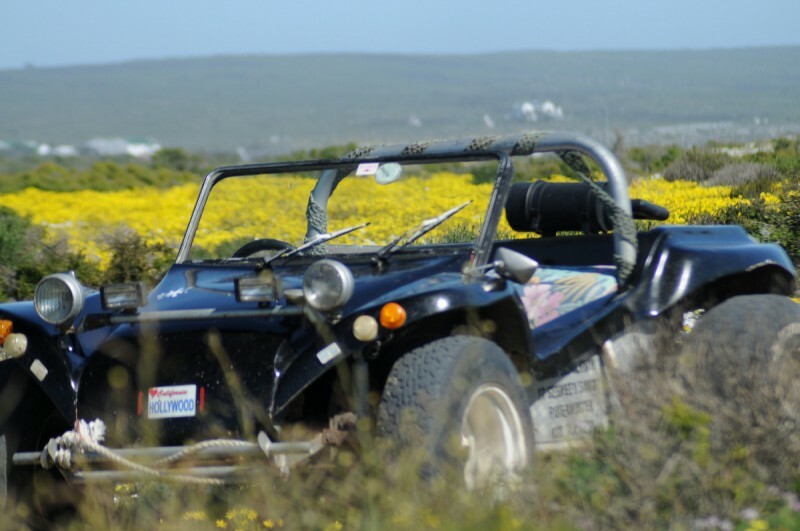 Join Deon on a Beach Buggy excursion with a little wind in your hair going out overlooking the dunes. 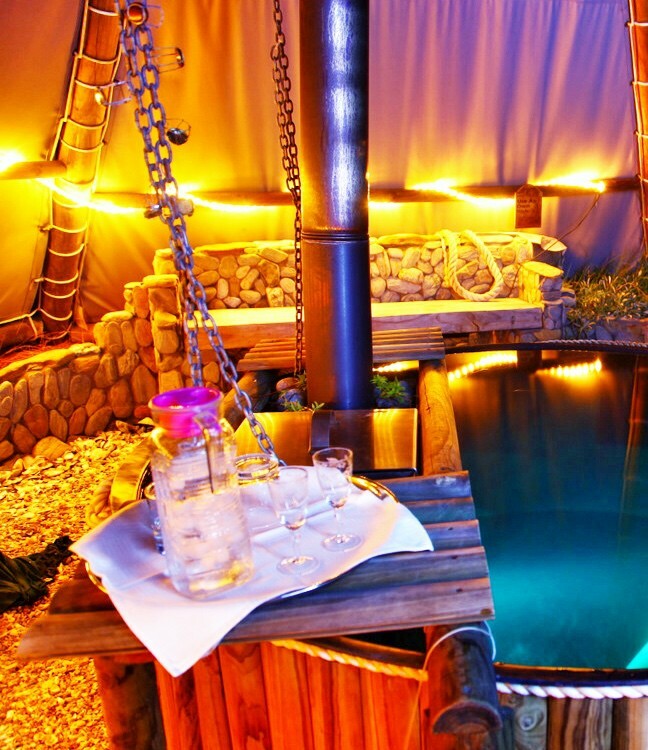 How about a braai in a Wigwam (tepee)? Rainy days are also covered, with a host of board games, including a much-loved thirty-year-old edition of German Monopoly. Rooms are modern, with televisions, stereos and some of the most exciting loo seats. Make sure you get a chance to spend a few minutes in the garden basket-chair before you leave. 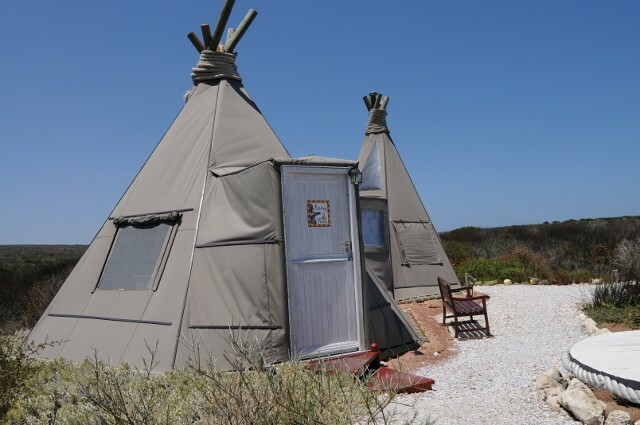 Specially imported from Germany, it shelters brilliantly from the wind, allowing you to sit in peace, looking out over the dunes for an hour or ten. 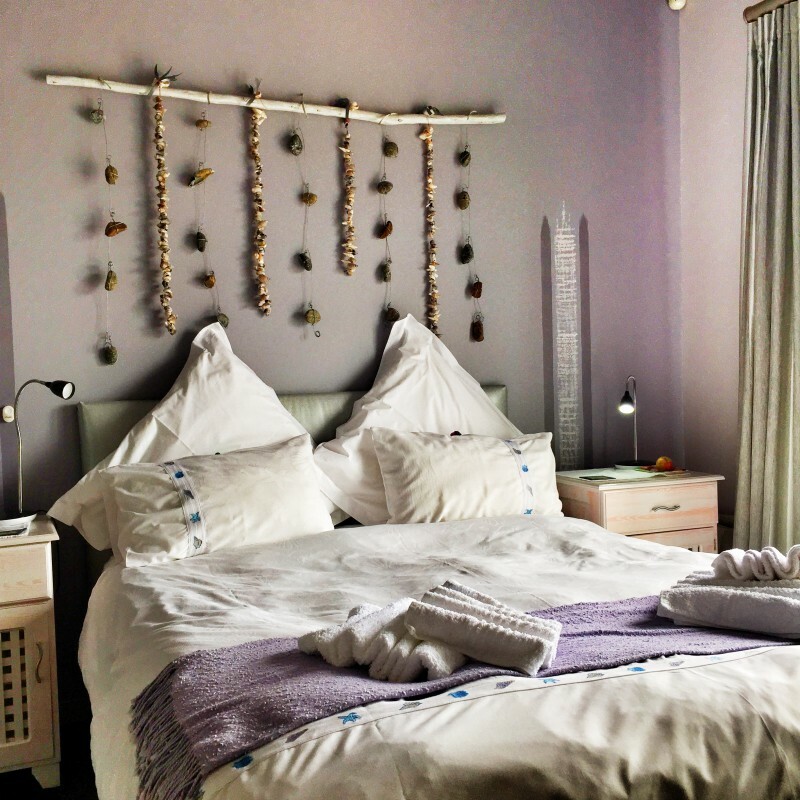 White Mussel is a north facing airy double bedroom (queen-size bed) at ground level of the East Wing with spectacular sea views which can be enjoyed from a private terrace. Black Mussel is an east facing spacious double bedroom (king-size bed, can be converted into 2 single beds) at ground level of the East Wing. Fynbos will amaze your eyes from a private patio. Oyster is a north facing overwhelming double bedroom (queen-size bed) at the top floor of the East Wing. Stunning sea views are inviting for a sundowner on the private patio. Perlemoen is an east facing fresh double bedroom (2 single beds, can be converted into kin size bed) well-known for its stunning sunrises at the top level of the East Wing. Only available as annexure to Oyster Room, perfect for family/friends. 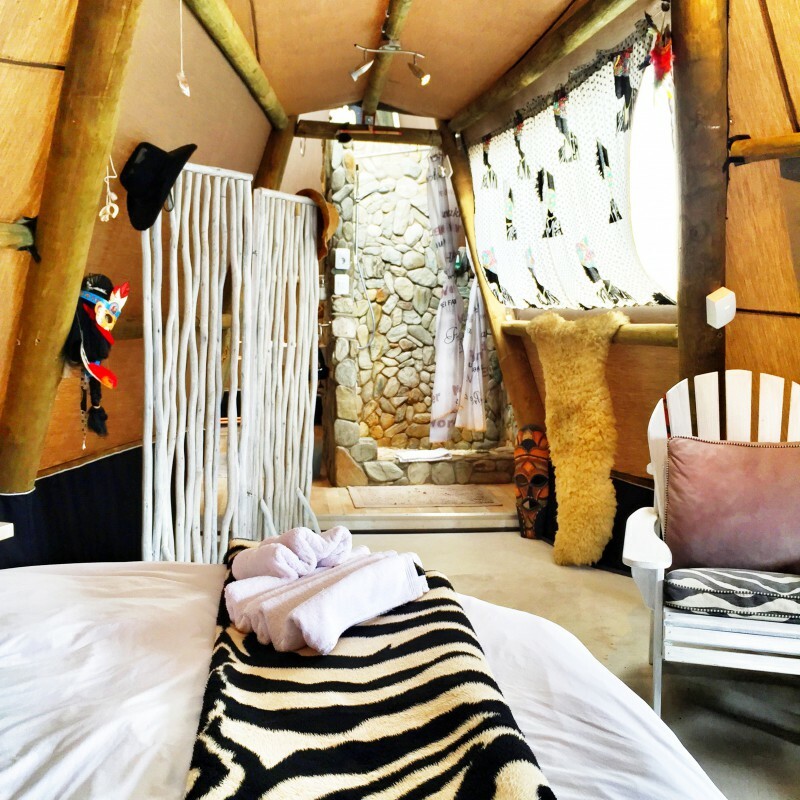 Experience the American Apache way of accommodation: Stay in rustic but luxurious tepee-tent "Wigwam Rising Moon", situeated amongst the Fynbos a little bit away from the main house. Snuggle up in a comfortable octagonal bed and listen to the sounds of nature's nightlife and do some stargazing at the same time (Skylight window). 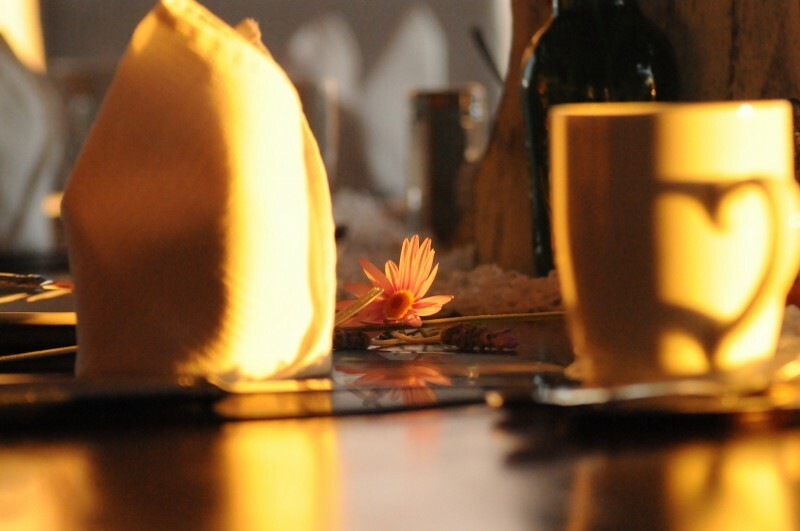 A fabulous breakfast (Continental breakfast during the week, English breakfast on weekends) and a selection of complimentary beverages on arrival are included the rate. 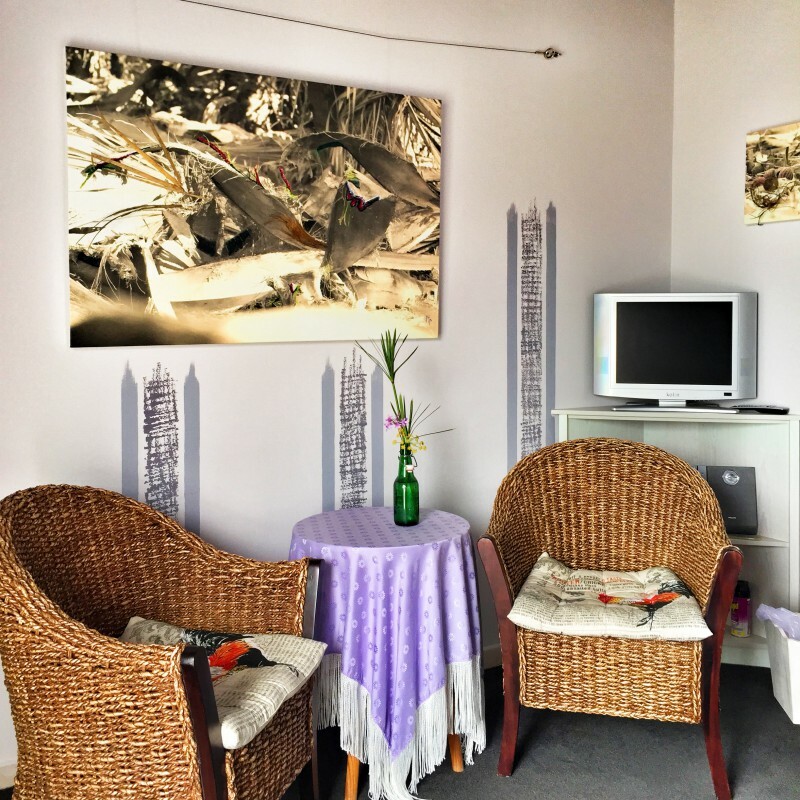 Daily room service (Monday to Friday excluding Public Holidays) is provided. 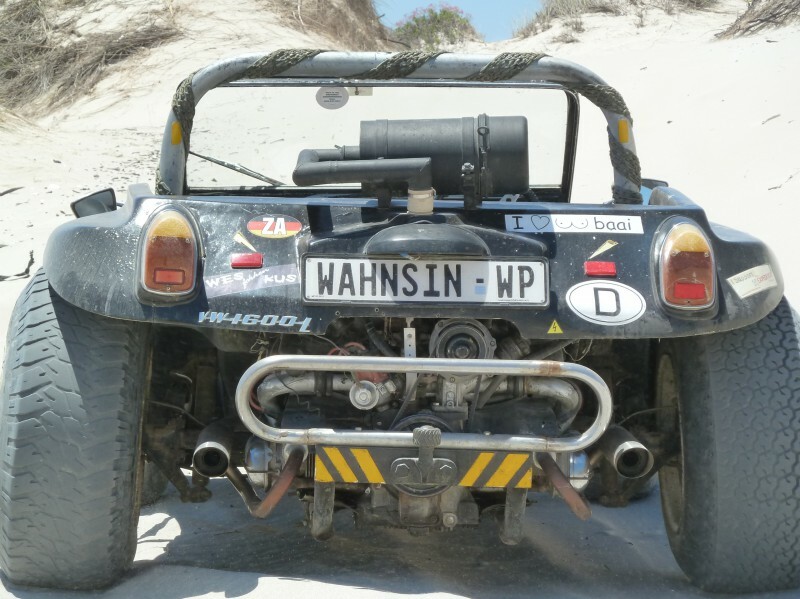 On request the hosts can also arrange fine dining / picnic baskets or the typical South African Braai as well as sightseeing trips in the BEACH BUGGY along the coast. How about to have a braai in our tepee like the Indians had it centuries ago? Have fun at Farr Out!